Want to know how YouTube Can Explode Your Wellness Business? 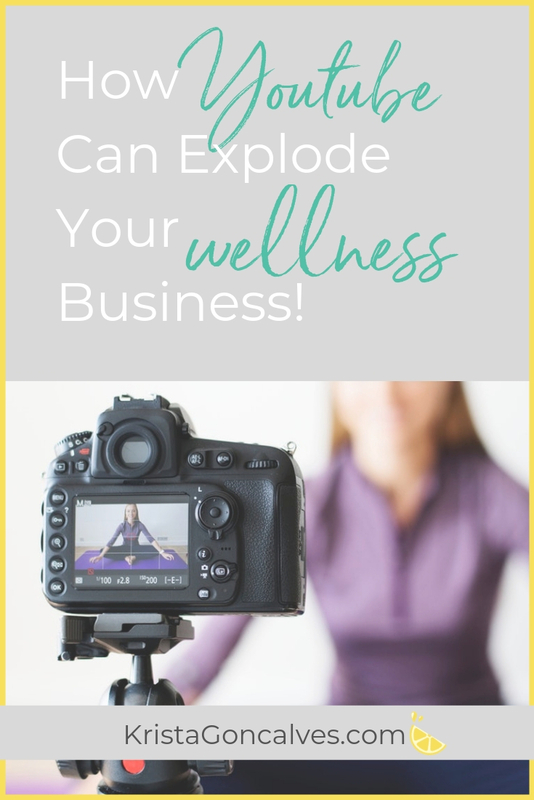 If you’ve recently taken some time to evaluate your online wellness practice and realized that there may be a huge opportunity on Youtube BUT you’re not sure how or where to start. You’re not alone! But, when compared to simple video marketing like Facebook live, or static media posts like a blog, Instagram, Pinterest, etc. – then Youtube is a whole different animal. live streaming with fan funding, etc. 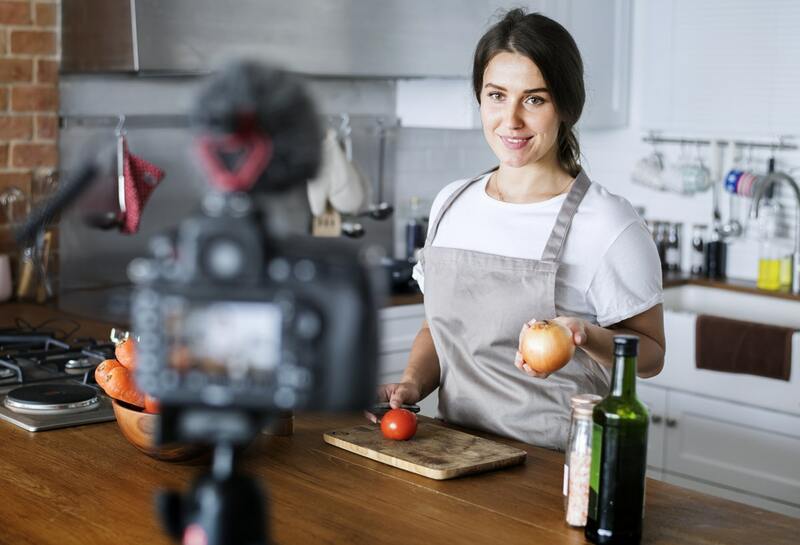 You may be familiar with some, and if you are – your skills are likely at various levels, and that’s ok.
What’s difficult about Youtube is that there is SO much you need to learn and do well for both the platform and video production in general. But, this is also your greatest opportunity because if you take the time to accelerate your learning on these things, you will be at a whole other level above your competition. The cream rises to the top, as do good quality videos backed by an SEO-informed strategy. PRO TIP: If you have a friend or family member that has a DSLR camera, I strongly recommend having them lend it to you and show you the ropes for your first few recordings. They may want to show you how to set up three-point lighting, which is easy once you understand it. The quality is worth the effort! A bonus tip is to schedule a day where you will film from the same location in your home or office, and record a lot of videos all at once (or batch film) so you get that out of the way! Another important point to consider is that Youtube encourages behaviour that a blog won’t = binge watching. A new report shows that Netflix is now responsible for 15% of all internet traffic globally. Next in line is YouTube, taking up 11.4% of global internet traffic. In total, VIDEO currently makes up almost 58% of all internet traffic. People love to binge watch – it’s why your Youtube playlists will play a key role in your strategy down the road to encourage people to stay on your channel once they land there. With all of these elements in place, you want to have clear CTA’s (Calls to Action) to get your viewers downloading your freebie and entering into your funnel. Once you hit 1000 subscribers and 4,000 hours of viewing time in a year (that might sound like a lot, but in hindsight, it will just be Phase 1), Youtube’s algorithms are going to seriously start paying attention to you. Imagine showing up on the “suggested videos” section for people in your demographic – nonstop, 24/7. Once you’ve crossed a certain threshold, the views and subscriber count will be coming on like clockwork while the algorithms do the heavy lifting for you. Watch a few videos on how to edit well! … then you will have cleared the landing where most wellness professionals fail. Also, passive signups to your freebies (and programs) will build exponentially, and your brand will have built a new revenue stream with ads, sponsorships, and more. While these steps might seem like a lot, just take it slow and improve your thumbnail/end screen/tagging/editing/etc. skills — one video at a time. Make it a goal to consistently improve one small thing after each video until you feel like you’ve reached that plateau that you’re looking for – or that you should now be striving for! 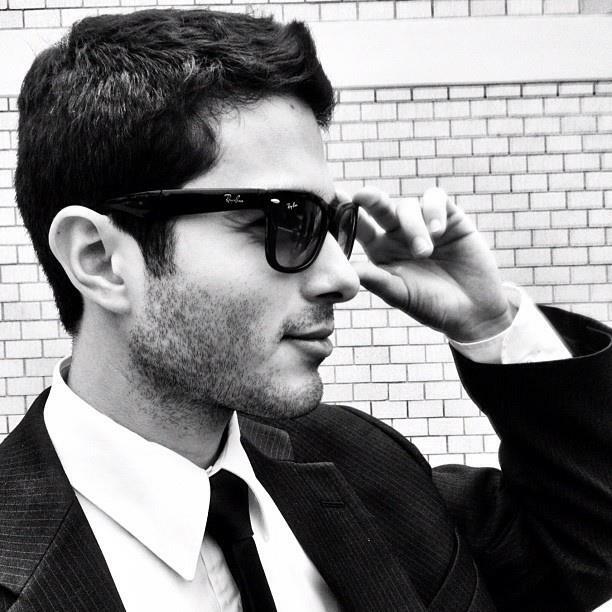 To wrap things up, I’d like to give you my most impactful tip for strategizing your content. Consider that most people have built-in interests. Take yourself for example; there’s probably an artist, blogger, or publisher that you continuously go back to and read/watch most of what they put out there. Examples could be a specific kind of diet (Paleo, Keto, etc), a new meditation app that everyone is downloading or even something like a celebrities’ workout regimen for a movie that just came out (If you’re into that). You get the gist of it. Once it’s finished, narrow the list down to the ones that interest you, or might intersect with what you talk about with in your practice. Plan out a video where you review or talk about that topic, with your unique perspective! In this way, you will be making a video that has intrinsic interest by people that don’t know you, but who may be interested in your other regular content once they find you in the first place. Because when you’re starting, building an audience will be your key focus. I call these inherent-interest videos MAGNET VIDEOS. My suggestion is to plan out your first 10 videos, where 3 to 4 of them are magnet videos, while the rest are your regular value-adding content. Whenever you publish you magnet videos, set aside a few hours in the week to post the link on relevant Facebook groups, subreddits, and forums online where the topic is relevant and interesting or useful. People will be glad to interact with it, and will engage with you! Personally, I have a spreadsheet where I keep track of everywhere I’ve posted my videos for organic reach, so I can track results and where most of my views come from. Use the resources & strategies recommended here, and you’ll be on your way to elevating your brand and building a powerful new source of traffic to your programs and services.